Every women like to have earrings. 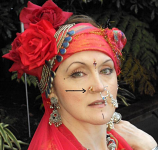 and its important jewel for belly dancer. so most of girls and womens avoid to pierce the nose, But as no any girls miss the chance to wear beautiful nose rings jewellers design un pierced earrings. 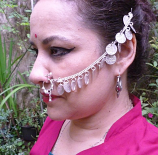 so its fashioned every country to wearing un pierced nose ring.